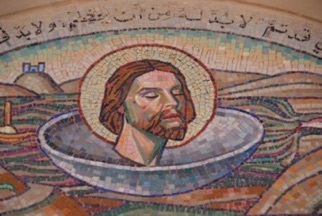 The Sacred Heart parish and the parish of the Beheading of John the Baptist, Madaba in Jordan have now been linked for several months. Initially we in Caterham, focussed on providing funds to assist the Christian refugees from the Mosul area of Iraq, brought to our notice by Parishes for Peace. When Eliz and Mike Wood visited Madaba in June it became clear that our support ought to focus on the parish so as to include the Jordanian and Iraqi parishioners. The parish consists of 800 families of whom 100 families are Iraqis.They live side by side and emphasising the needs of the Iraqis might alienate the Jordanian Christians most of whom are poor. Many of the refugees look to be staying in Jordan for some time. Some families have obtained visas for Western countries and already moved on but the main destinations, Canada and Australia have stopped accepting Iraqi immigrants for the time being. There is some resentment against refugees caused by shortages and the high price of basic commodities – water bread ,food, diesel and electricity rather than by Iraqis per se. Priests say that keeping the balance between Jordanians and immigrants can be a pastoral challenge but no more than that....The saddest thing for me is to learn how the Iraqis have largely turned in on themselves. The uncertainty and entrapment is eating into them...They no longer care about being caught for illegally working. The Sacred Heart parish has raised over £8000. £5000 has been given to the Madaba parish so far. In June at Fr Bader’s request £ 1000 was given to provide summer school places for the refugee children. Another £1000 was granted to a parish committee to provide for the urgent needs of the poor. The primary school impressed us but was poorly equipped and in urgent need of library books to help with the learning of English and the teaching of science. We have managed to provide 50kg of appropriate books at very little cost and are awaiting news of their successful arrival at the school. 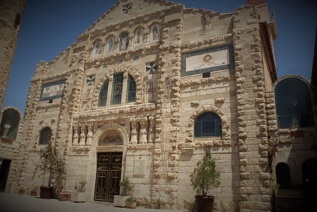 St Francis school has agreed to establish a link with St John’s school in Madaba. 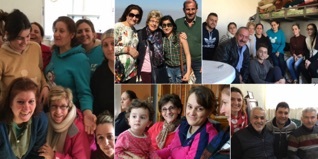 The willingness of Sacred Heart parishioners to support this cause has been impressive.There is an overwhelming need for our prayers, friendship and financial support for Madaba to continue in partnership with Bognor Regis parish. Contact has been made with the newly appointed parish priest, Fr Peter Butrus. The parish lunch earlier in the year proved very popular and raised over £500. Another is planned for Nov 12th.Della Shenton,the founder of Parishes for Peace has agreed to attend and give a brief talk.Tickets will be on sale in October. Please come along or provide a raffle prize. Part of the proceeds from the Christmas Fayre will be donated to Madaba. We intend to have a stall selling goods made by the Iraqi refugees at the fayre. There will be opportunities in November to sign Christmas cards which will be sent to parishioners in Madaba. The collection after Sunday Mass in January was our most profitable fundraiser as Fr. Sean generously doubled the collection from parish funds. Will it be possible to repeat this in January 2018? A plea. More help is needed to maintain this link. Is there anyone willing to give a little time, even occasionally.